The latest ABS data counted 28, 000 young Australians (12-24yr old) as homeless on Census night in 2016. In most instances, they do not have a home because they are escaping conflict and violence. Previous research found that 70% of young people who became homeless left home to escape family violence, child abuse or family breakdown (Rosenthal, 2006). National Youth Coalition for Housing (NYCH) states that young people at risk of, or experiencing, homelessness need access to supportive and well-resourced services which work with them in establishing foundations on which they can build a stable future. These services can be tasked with the provision of ensuring health and wellbeing, safety and stability, re-engagement and participation with education and employment services. Twice a year the practitioner meetings have a youth focus. This provides a great opportunity for practitioners and allied services to come together to share information and ideas and to enhance your professional networks. 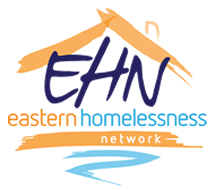 The plan was developed by government funding provided to the Council to Homeless Persons (CHP) through DHSS and guided by an Executive Advisory Group (EAG), and leaders from across both the SHS and DHHS. The content of the plan reflects the input of consultations held with the SHS and others around the state in late 2017. 360 Edge is delivering face-to-face ice training for frontline workers across multiple workforces as part of the Victorian Government’s Ice Action Plan. The training is designed to build the knowledge and skills of frontline workers so they can safely and effectively respond to people affected by ice. Training sessions will run for half a day and cover de-escalation, managing tricky behaviours, and supporting someone to get help. Are you 15-25 years old and interested in attending a free lgbtqi+ specific program run by a specialist employment service? Couch surfers are among the most hidden groups of people experiencing homelessness. This report explores the circumstances, experiences and housing outcomes of couch surfers who sought assistance from specialist homelessness services between 1 July 2011 and 30 June 2015. Based on service use patterns across a 4–year period, this comprehensive analysis highlights the diversity and the complexities of the couch surfer population. Free hepatitis A vaccine campaign in response to a widespread outbreak of hepatitis A that is now affecting rough sleepers in Victoria.